You're paying for her advice, so come to meetings prepared to ask as many questions as you like. You’ve already done the hard part: found a retirement planner whose philosophy, investment style and track record make you feel safe and secure. Savvy retirement planners encourage regular -- monthly, semi-annual or annual -- portfolio reviews to track your risk quotient and update you on the status of your retirement plan. Asking at least three questions each time you meet helps you play an important role in this partnership -- after all, it is your money. How Much Money Will I Need to Maintain My Lifestyle? You picked a retirement planner with the credentials necessary to keep tabs on both your portfolio and myriad investment markets, but your job is to make sure she's always aware of your long-term lifestyle plans and needs as you travel the long road to retirement. Even economists can’t predict exactly how much money you will need to enjoy a specific lifestyle. A hot investment can fall off a cliff in hours, but as long as you articulate your vision and remind your planner that maintaining your current lifestyle is a priority, she can adjust investments accordingly to make sure your goal of moving to Mexico or a retirement community is never lost in the economic shuffle. It’s difficult to project how long you will have to work. Unforeseen circumstances like job loss, health and family crises can derail retirement projections in a heartbeat. That said, if you started working with a retirement planner when you launched your career and he knows that you have set a specific retirement date, asking “How much longer will I have to work?” can make his job easier. With your projected deadline in mind, he can monitor cost of living changes against your current investments using sophisticated tools that allow him to align your life expectancy with your investment trajectory and keep adjusting the two in concert with your investments as time passes. Given these tools, your question may be at your planner’s fingertips whenever you visit to review your holdings. When Should I Start Withdrawing Social Security Benefits? Assuming Social Security is in the picture when you reach eligibility age, time your benefit withdrawal plan accordingly in concert with your retirement planner. She probably monitors government updates tracking the entitlement program's funding through the upcoming decade, so her input can be invaluable if you're not sure the time is right. Your portfolio, interest in working past retirement age and risk tolerance all factor into a joint decision about when to start drawing benefits -- but you get the last word. Keeping in mind the fact that your retirement planner is either receiving a monthly fee for managing your portfolio or she makes a commission based on your investments, always remember that she works for you. This means you are entitled to ask a any questions every time you meet. Sheltering money in trusts may become more important to you as retirement approaches or you may decide to start a business or otherwise dramatically alter your plans as the big day looms. If you feel you need a more aggressive or conservative approach to building that nest egg, bring on the questions and ask her to implement or refute them until you’re satisfied with every answer. 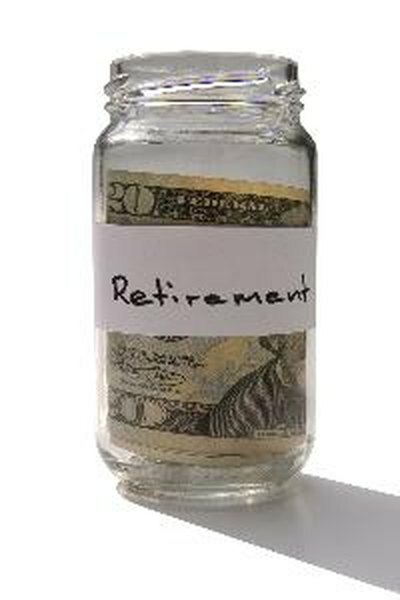 Why Have a Financial Planner Handle Retirement Money?